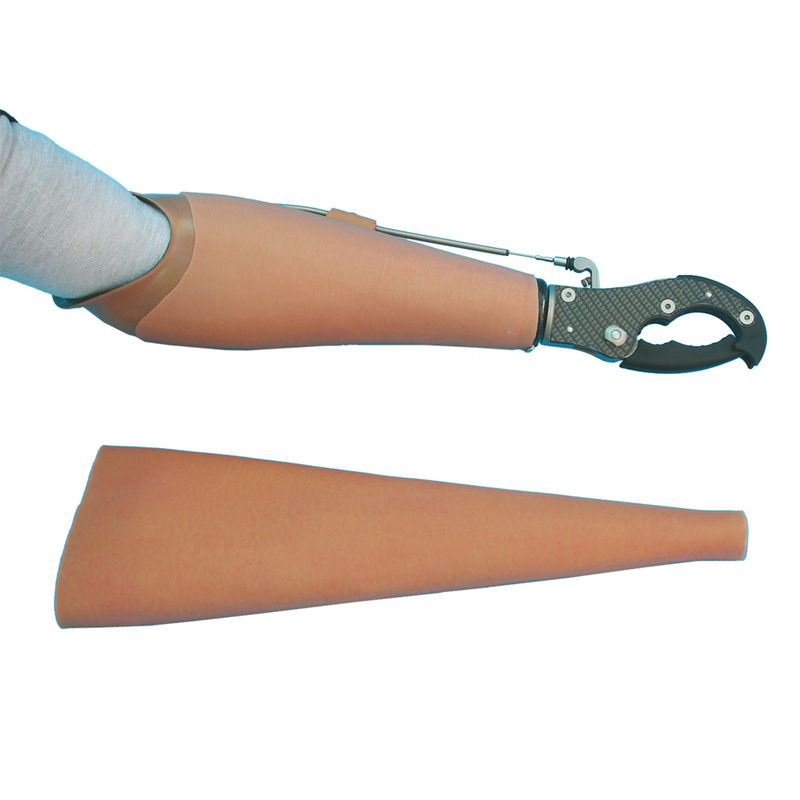 TRS ARM SKINZ were developed especially to provide an improved cosmetic covering and surface texture alternative to hard, glossy prostheses for body powered and passive systems. ARM SKINZ are made from a higher, tear strength silicone and are available in a healthy looking, standard tan, color. Custom colors are also possible under a special order. ARM SKINZ have been manufactured as extra long tapered cones and come in two tapers, one for adults and another for pediatric and narrower arms. A comprehensive SIZING CHART provides you with the data you need to select the proper size. The long tapered cones and excellent elasticity of the SKINZ allow them to be installed easily and “cleanly” onto a wide variety of prostheses. ARM SKINZ are applied using the same technique as installing a cosmetic glove. They clean easily and do not stain. ARM SKINZ are not designed for manual labor or rough, abrasive hobby environments. They are 100% waterproof. • Silicone material throughout in healthy, complimentary, skin tone, tan color. • Stain resistant and waterproof. Easily cleaned. • Custom colors available by special order at extra cost. 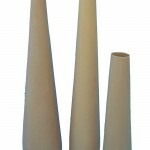 • Extra long tapered cones in two models fit a wide variety of prostheses. • Install easily similar to donning regular cosmetic glove technology. 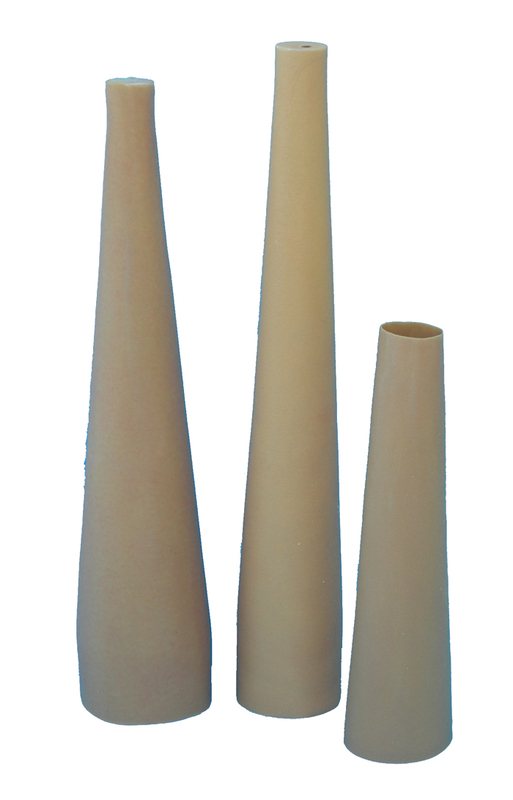 Elongated, cone configuration in two different tapers/models. See SIZING CHARTS to determine the best fit.